To make school lunches easier on our family this year, we stocked up on various rice bag meals and lentil meals. They have been a great, easy way to have a healthy meal without much effort. One of these meals, the Madras Lentils by Tasty Bite, has worked its way into my chili. Not only does it add protein with the mix of lentils and beans, but it serves as a good spice base of cumin and ginger. I have also swapped out regular diced tomatoes for fire roasted salsa style diced tomatoes, which add the kick of peppers and garlic. In fact, the built in spices from these two ingredients means I haven’t had to add any other spices – win! One of the other staples of my chili is the butter bean. 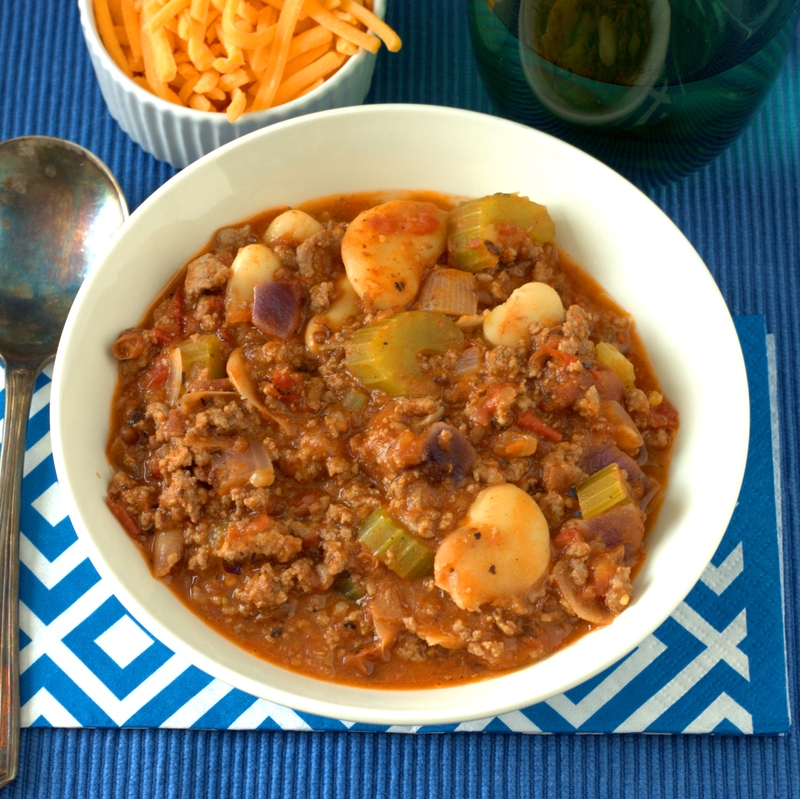 Using butter beans (which is a mature lima bean) instead of kidney beans adds the right texture and a mild flavor. 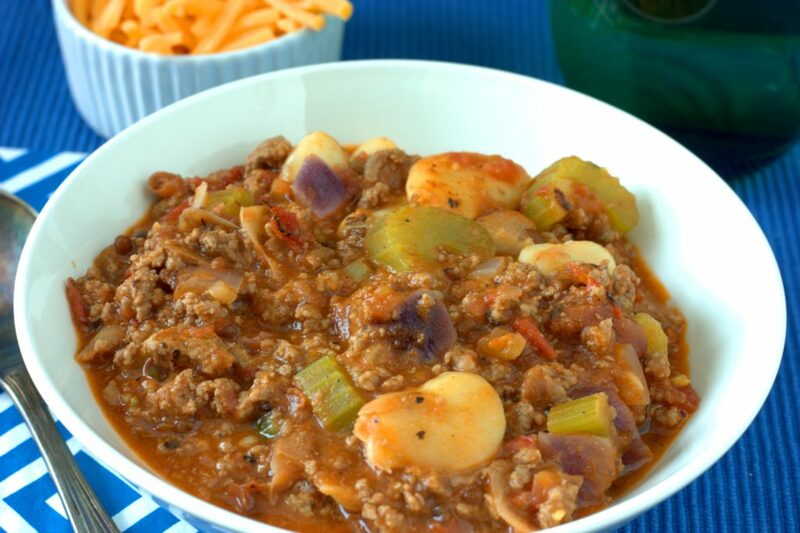 With the prep time minimal for my chili, I can quickly pull this together for a weekday wintery super or for a game time gathering. In a large pot, brown the ground beef over high heat. Once cooked through, add the celery and onions and cook for another 5 minutes, stirring frequently. 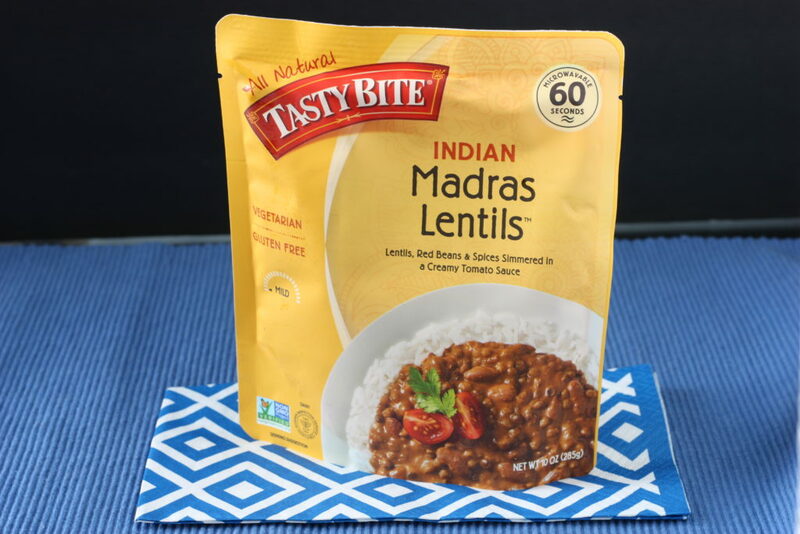 Lower the heat to medium and add the madras lentils, diced tomatoes, and butter beans, stirring to combine. Simmer over the medium heat for another 20 minutes, stirring occasionally. Serve. This entry was posted in Uncategorized and tagged beans, beef, gluten-free.